Diwali (also spelled Devali in certain regions) or Deepavali popularly known as the "festival of lights", is an important festival in Hinduism, celebrated for different reasons, occurring between mid-October and mid-November. For Hindus, Diwali is one of the most important festivals of the year and is celebrated in families by performing traditional activities together in their homes. For Jains, Diwali marks the attainment of moksha or nirvana by Mahavirain 527 BC. The name "Diwali" is a contraction of "Deepavali" (Sanskrit: दीपावली Dīpāvalī), which translates into "row of lamps". Diwali involves the lighting of small clay lamps (diyas or dīpas) in Sanskrit: दीप) filled with oil to signify the triumph of good over evil. During Diwali, celebrants wear new clothes and share sweets and snacks with family members and friends. Nursery section had their Poem enactment day for the rhyme "Humpty Dumpty" on Friday, 26th August 2011.
respectively. Children were shown the slides of the rhyme on the computer which was followed by repeated singing of the rhyme. 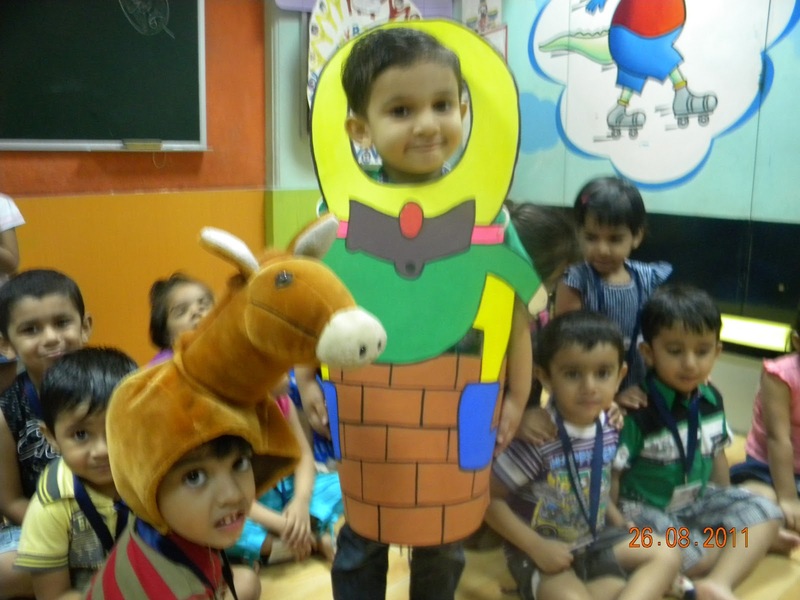 The children then enacted the rhyme with the teacher’s help. 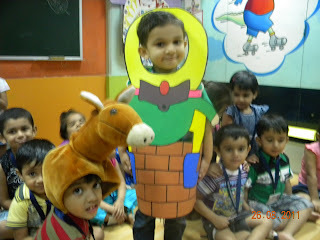 Children then made a puppet of Humpty Dumpty. They enjoyed doing the sponge wash and giving features to the puppet. 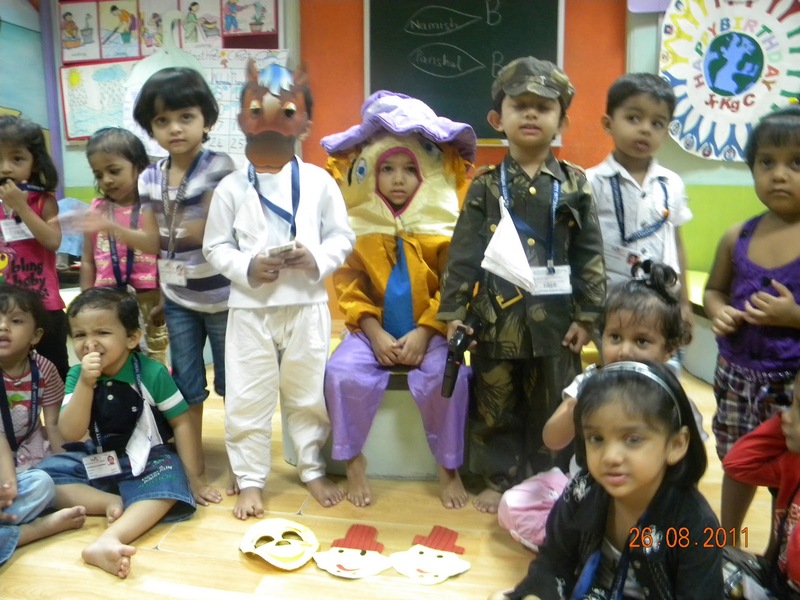 In this fun filled manner, children not only learnt the rhyme but also enjoy edenacting it along with the teacher.